Early in the morning, before breakfast, you will see the sunrise and do a bird watch tour, back to the lodge for breakfast and after the breakfast you will do an ecological jungle trekking from 08h00 to 11h00 where the guide will explain all about medicinal plants, some techniques of survival in the jungle and animals that you can see during the trek like spiders, and different kind of monkeys, sloths etc.. (We can not promise that you will see wild animals but due to the Juma lake be a protect area the chances to see wild life are very good). After breakfast that the guide will prepare for you in the jungle, you will explore the jungle by paddle canoeing in the flooded forest and small creeks where you will learn about the fauna and the flora of the region; back to the lodge for lunch and after lunch you will visit a local people house (caboclos) to see and learn about their way of life, see how they do the manioc flour and interact with them and overnight at the local people house. Spear fishing at night to catch fish for your own food, jungle trekking in different place of the jungle, canoe ride (paddling) at night in the small channels, try to see monkeys, birds, dolphins, overnight in the forest and at the local people house. The most important thing is that you will have an experienced jungle guide who will show you and will explain to you how to survive in the forest. 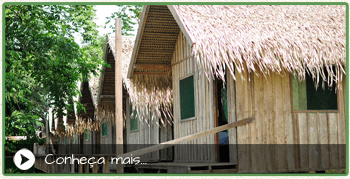 On the last day you will return to the Juma camp house, arriving there about 11:30 for lunch and at 1pm you will start your journey back to Manaus arriving at 5pm in the city.